People forget this fact all the time. You are a business partner in a REAL BUSINESS that employs people and sells products or services. If a company makes a lot of money and grows significantly, the stock grows in the long run as well. However, real businesses do NOT grow leaps and bounds overnight. It takes YEARS and even DECADES! How many malls can SM build in a year? PLDT or Jollibee did not suddenly pop out of nowhere. They had their ups and downs as well. 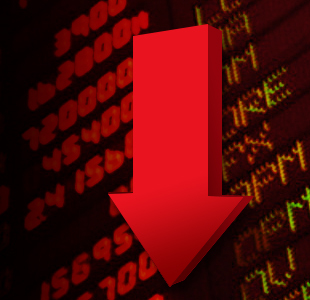 The stock market has been going down significantly the past few weeks because foreign investors have been pulling out their investments here and placing them in other countries. Kumita na sila sa Pilipinas, kaya dun naman sila sa ibang bansa. So why should we NOT be worried? Hindi naman nagkagera bigla sa atin. The blue chip companies whose stock prices crashed double digits continue to operate and sell their products and services. They are not suddenly laying off thousands of people. Hindi naman biglang naglaho yung 750+ branches ng Jollibee nung bumagsak presyo nila diba? Higit pa dito, naghahanap pa ang mga nagpapatakbo niyan ng mga bagong paraan upang lalong kumita sa mga darating na panahon. In PESOS AND SENSE, we advocate long term investing in stocks. Pick a good company and regularly (monthly/quarterly) invest a fixed amount over the next several years. This is an opportunity for Smart Investors like you. Sir Aya nice one! Very well said! Would the same approach apply to Mutual Funds? As long as you know what the investment strategy of the Mutual Fund is; and that strategy coincides with your own, then yes. Sir Aya – my take is that there will come a time when the US (or other non-Asian countries) will be overbought and the PSEi will be oversold (if not go sideways). When that happens, babalik ang investors satin kasi mas malaki ulit ang potential growth (assuming our fundamentals will still be intact). Gusto ko lang pong magpasalamat sa inyo ng marami dahil nagkaroon po kayo ng direktang impluwensya sa buhay naming mag-asawa sa pamamagitan po ng programa ninyong Pesos and Sense. Nagkaroon po kami ng mga kasagutan sa mga tanong naming pinasyal at linaw sa mga plano namin pag kami ay magre-retiro na. Sana po ay magkaroon kami ng tsansa na makilala kayo ng personal at tuloy maulit ko ang aming pasasalamat sa inyo. Laking ginhawa po sa mga tulad naming OFW ang magkaroon ng malinaw na plano kung saan ilalagak ang mga naitatabi naming kita para sa amin at ng anak(magiging mga anak namin) sa hinaharap. Nawa’y maraming mata pa ang mabuksan ng inyong programa lalo dito sa Gitnang Silangan. 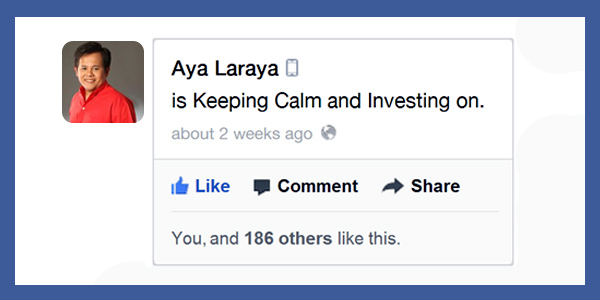 Nice Blog Sir Aya, this keep us calm, invest regularly and stick to our game plan which is long term play. Thank you for guiding us into the stock market world. Will this crash take long? Any wild forecast? Yes, pwedeng pwede po yan. People know the saying “buy low, sell high”. But when stocks go cheap they stay away. it seems all they want to do is buy high and sell higher. Where’s the profit in that?! Sir Aya, I have a question. I’ve read somewhere that SM’s listed stocks will merge this year,. Thus, one or two will be delisted. I have invested in SMPH. What will happen to the shares should this stock be delisted and merged? I also noticed that SMPH is no longer listed in COL’s investment guide tho they are still existing in the Technical Guide. What could this mean? Thanks. Thank you for guiding us Filipinos. SMPH will be the surviving entity so your shares will not be delisted. COL is currently reviewing SMPH’s valuations so hintay lang at babalik din yun. Good pm Mr. Aya Laraya ds s marlon i would like to inquire which are the better the stock trading or forex trading that can provides better income or profit from short-term to long-term transactions pls help me. Actually I’m the beginner of forex trading and pls guide me to the ideal currency market broker and the legitimate investment company. Thank you! Hi Sir Aya! I attended your seminar yesterday re investing in the stock market. I would just like to ask kung mas ok po ba, for example, na mag-invest ng 5k monthly in a single company or pwede ring 2k each monthly for 3 good companies? Nahihirapan po kasi akong pumili ng isa sa top 3 companies na naiisip ko. Would a 2k investment monthly also be recommended? Is there a minimum “recommended” amount to invest on per company (eg: 2k, 3k,5k)? 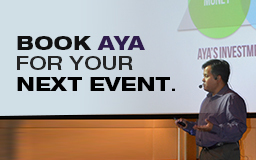 Thank you very much Sir Aya! More power! I had a rather hard time chnosiog just one type of physician I would want to work for. So many of them fascinate me, and with me not really going into any medical field other than support, I never gave this any thought in the past. After reading the list, I am more favorable of working for a neonatologist. It is difficult to think about how neonatologist physicians sometimes have the most difficult job in the world, but I can only imagine how amazing it would be to be a part of saving a baby’s life. I had a coworker once whose baby was born at 36 weeks, and her baby had a lot of heart and lung problems. There were concerns about whether or not they would ever fully develop once she had him, but after many months in the NICU, and many scares that happened during it, the doctors were able to save him and he is now a very healthy 5 year old. It is because of that I have a higher interest in the neonatologist field.I hate to say which type of physician I would care less to work for, and it is because I worry that many will take it the wrong way. When I was 16, I used to help my mom at an assisted living home as a caregiver. We would get to work at 7:00 A.M. every morning to prepare breakfast for four of the elderly men and women that we were caring for. We would then make sure that all bedding was changed, rooms were cleaned, meals were prepared, and appointments were handled. We worked 12 hour days, and they were always grueling. The owner of the home made sure that everyone had their medicine and made it to their doctor appointments on time. However, she was more worried about getting paid for her services than actually helping the elderly. She would yell at them if they did something wrong, and even call them terrible names. My mom reported her and we both quit our job, but it has always left a sting in my heart since then. It is because of my experience with that situation that I do not think I could ever work for a gerontologist. I know that the situations would be much different, but ever since my experience with caring for elderly individuals it is very hard for me to think about assisting a physician in geriatrics because I worry that someone else might treat the elderly in the same way the owner of the home did. I am a firm believer that the elderly deserve the ultimate care and comfort when going through any treatment and aging in general, but I do not think I could ever work in that environment again.